Mark moved to Te Anau at the age of 3, went to kindy, primary school, and college in Te Anau. 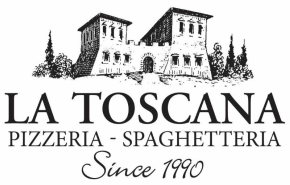 At the age of 15, he tasted La Toscana for the first time, and was hooked! At that moment he knew he wanted to one day own La Tos and continue with its tradition of serving delicious Italian food to Te Anau's locals and visitors. In 2004 Mark met Kirsty, an Oamaru girl raised in Rangiora, while working together at the Hanmer Springs Hot Pools. They moved to Wellington in 2005 and spent the next 3 years there. In September 2008 Mark's dream of owning La Tos became a reality and together they moved back to Te Anau. On April 10th 2010 they were married on Freestone Hill, the view overlooking Lake Manapouri and the farm where Mark grew up, is the view on the leftside of the huge mural Mark's mother did for the restaurant. On June 17th 2011 Fergus was born in Tuatapere, every night he asks if he can go to work, but it's probably just to eat his favourites, carnivoro pizza and sugo di carne pasta! On October 23rd 2014 Willa was born, another Tuatapere baby! No teeth yet, but you can tell she can't wait for her first taste of La Tos. On the 1st of September 2015 it will be 7 years since taking over La Tos from Margaret and Brian Sheppard. Time has flown, and family has grown, but the love for La Tos and Te Anau remains. Mark's mum Lissa has painted the mural in La Toscana. The mural is of Fiordland, reimagined in an Italian theme. The lake to the left is Manapouri, the perspective is taken from where we were married, and overlooks the family farm where Mark grew up. The lake to the right is Te Anau, the perspective from the Ramparts road lookout.